If you’re looking for a tasty grilled meal, then shrimp is the answer. Shrimp’s taste is mildly buttery with a hint of sweetness, which why it’s ideal for a barbeque. However, grilled shrimp is a bit tricky to cook. If undercooked or overcooked, it will spoil the flavours and the mood of your guests as well. It requires balanced cooking to get the juicy texture and great taste. Besides experience, there are a few tricks that renowned chefs and BBQ catering companies use to make perfectly grilled shrimp. Today we are revealing some of the secrets to help you in grill shrimp like a pro. Deveining is an important step for cooking shrimp. Removing the dark, sandy, threadlike intestinal tract is necessary to get a clean taste and avoid any potentially harmful health issues. Use a sharp knife and cut the shell from the back side to devein. Making a cut and splitting the shrimp also helps the seasonings to penetrate the flesh and sink in the flavours. Before grilling, season the shrimp generously with a sugar-salt solution. This seasoning will prevent the meat from getting overcooked or undercooked. Some people prefer to toss the shrimp with salt, but combining it with sugar will help it brown a bit faster and add a sweet and bitter flavour. 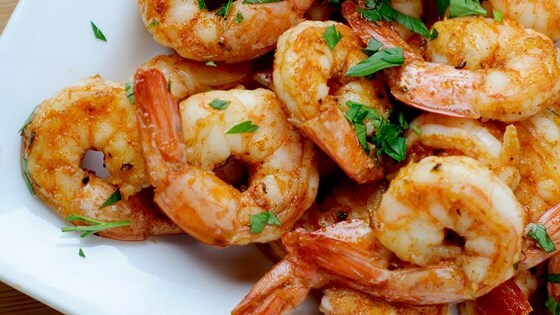 Another secret to better brown your shrimp, is to toss it in a mixture of salt and baking soda before grilling and letting it sit for 15 minutes. Baking soda gives a firm and crisp texture to the shrimp, while salt preserves moisture. This combination is ideal for getting the shrimp meat crispy without drying it out. It may sound odd, but cooking shrimp with the shell intact is a great trick of getting juicier, more tender and plump shrimp. A peeled shrimp is easier to eat, but the shell plays a crucial role in cooking. The shell acts like a temperature buffer, preventing the meat from overcooking and retaining the flavours. How you grill your shrimp will determine the quality of the finished meal. Some people prefer to grill shrimp individually to maximize the exposure to heat, whereas other people recommend squeezing the shrimp tightly together on a skewer. The best way is to put the pieces on a skewer without much spacing. This enables you to have a longer cooking time thanks to less surface area. With the heat taking longer to penetrate the centre of the shrimp, the shells get a nice char without being overcooked. You want the shrimp to be juicy, but how to do it? The secret to getting moist grilled shrimp is, ironically, to keep it dry. There is a difference between surface moisture and internal moisture. The former spoils the taste whereas the latter enhances it. After putting the pieces on the skewer, pat the shrimp with paper towels to remove the surface moisture. Another way is to put all the skewers on a baking dish and refrigerate it for an hour. The shrimp will dry out naturally while keeping the internal moisture intact. To find out whether the shrimp is ready, look at the tail. When the tail starts to curl up towards the head, the shrimp is ready to eat. Also, remember to check the colour. When the colour turns from opaque to white, then the meal is ready to be served. Implement the tricks you learned today and surprise guests at your next BBQ party by serving tasty and juicy grilled shrimp. Garnish your freshly cooked meal with chopped parsley, garlic, olive oil, and lemon for more flavours. Enjoy!